To Android users, especially advanced ones, rooting their phones or tablets is becoming a necessity. Rooting Android could be complicated, if you do it all by yourself, even with a step-by-step tutorial. However, what Kingo Android Root offers you is a true one-click experience when rooting your Android. 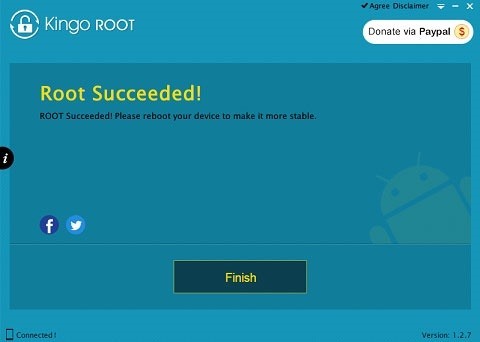 Android Rooting, in a nutshell, is a modification process to the original system in which the limitations are removed and full-access is allowed, thus resulting in the ability to alter or replace system applications and settings, run specialized apps, and even facilitate the removal and replacement of the device's operating system with a custom one. What Can You Do After Rooting Your Android? After rooting, you can install a custom ROM and recovery, customize your system with beautiful themes and fonts, increase internal memory by moving all of your apps to an SD card, increase your RAM, overclock and undervolt your device, hack games, remove bloatware, install fantastic root-only apps like Titanium Backup, Greenify, AdAway, and such. Pros: Basically, the benefits that rooting your Android device can offer are all about acquiring high-level permissions with which you could overcome all limitations and do modifications as you like. Cons: Rooting immediately voids your phone's warranty. Rooting involves the risk of "bricking" your phone. 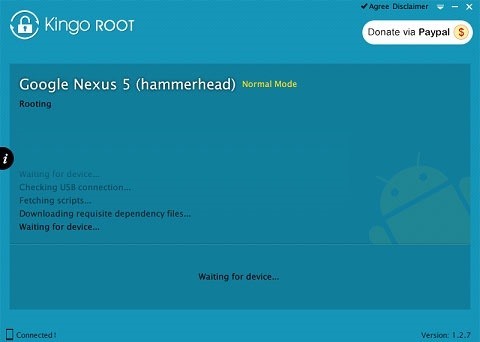 How to Root Your Android Devices in One Click? Using Kingo Android Root is extremely simple, but I'll elaborate it down to every little detail, so please bear with me. You can see the list of devices that Kingo supports here. The list is incomplete and not up-to-date, it does not necessarily mean not-support if your device is not in the list. If you have any doubt about your device being support, feel free to contact us. A Windows-based computer with Internet access. USB cable; the original one is recommended. Device powered on with at least 50% battery level. 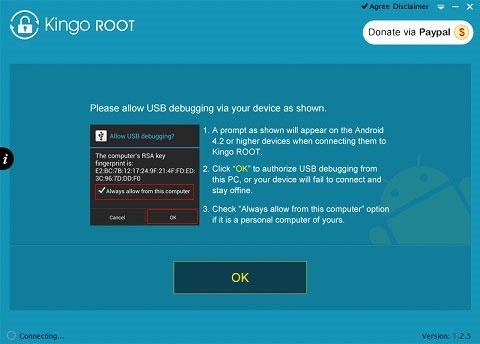 Kingo Android Root is a free download that is available here. After installing it on your computer, double-click the icon on your desktop to launch it—you will see an interface as shown below. 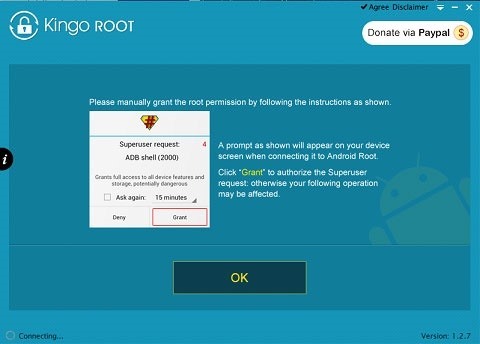 Although the very aim of Kingo Android Root is to offer a true one-click rooting experience, this step falls on users. USB debugging mode is a developer option to facilitate a connection between an Android device and a computer with Android SDK (software development kit), which is usually hidden in Android 4.2.X and higher versions. Go to Settings -> Applications -> Development -> USB debugging. Go to Settings -> Developer Options -> USB debugging. Go to App Drawer -> Settings -> About Phone -> Build number. Then, tap the Build number 7 times to become developer. Afterward, go to Settings -> Developer options -> USB debugging. More info on how to enable USB debugging mode can be found here. There will be a prompt window that appears on your device's screen. Click "OK" to allow USB debugging from your computer. Kingo will automatically install the device driver (if it is not installed already), recognize your device model, and show the root status of your device. Please read the notifications carefully and be fully aware of its advantages and disadvantages before you proceed. It will take a few minutes for Kingo to run its course. Kingo has rooted millions of Android devices from almost all manufacturers and carriers. 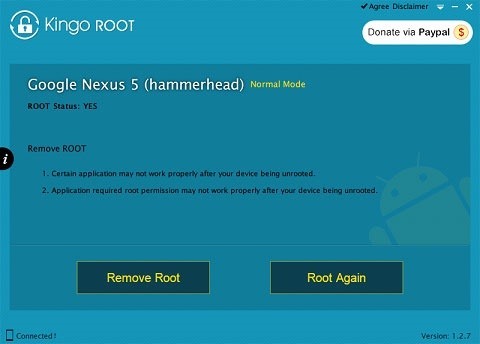 The general method that Kingo employs during rooting is an exploit (or vulnerability) of Android firmware. Theoretically, it should not cause data loss, but bad things happen, and Kingo is not responsible for any damage. We will exert every effort to make this software safe and easy to use. As to device support, we are trying to cover every brand and every firmware version, but it is impossible to cover it all, and those vulnerabilities we rely on to root your device will be patched by authorities in later firmware. 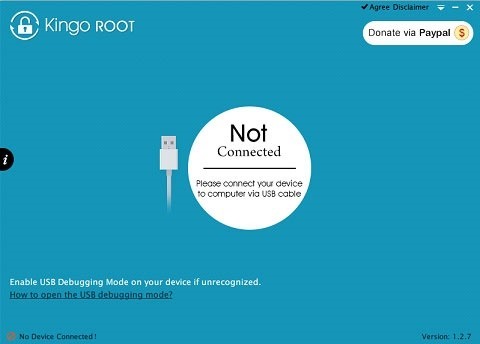 Kingo has built-in "Remove Root" function as well. Connect your device to your computer via your USB cable and grant "Superuser Request" for an ADB shell on your device. 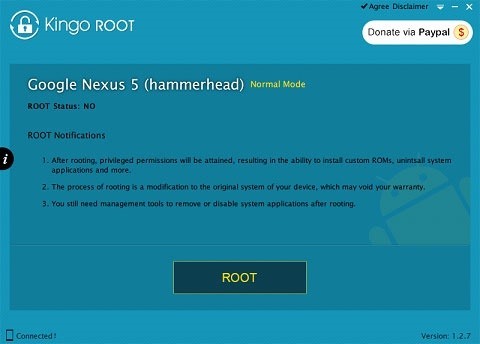 After your device is recognized by Kingo, you should see your Root Status as "YES" with the "Remove Root" button on the interface. Just click it and wait. So am I right? This tool doesn't erase all Data (Messages, Apps, Settings) from your phone? I saw lots of tutorials where it wipes all your data, but it seems like this one doesn't.. I need help when i root it say, waiting for device but nothing work please help! It is probably caused by driver installation failure. Here are some tutorials you can follow. Sorry for that. We will keep trying and adding new exploits. Its installing the driver, done, telling me to remove the device, and then reconnect. Repeat. Nothing changes.. Help...? And now it seems like it cannot tell when my device is connected or not.. My device is constantly though, and picks up the connection/charges.